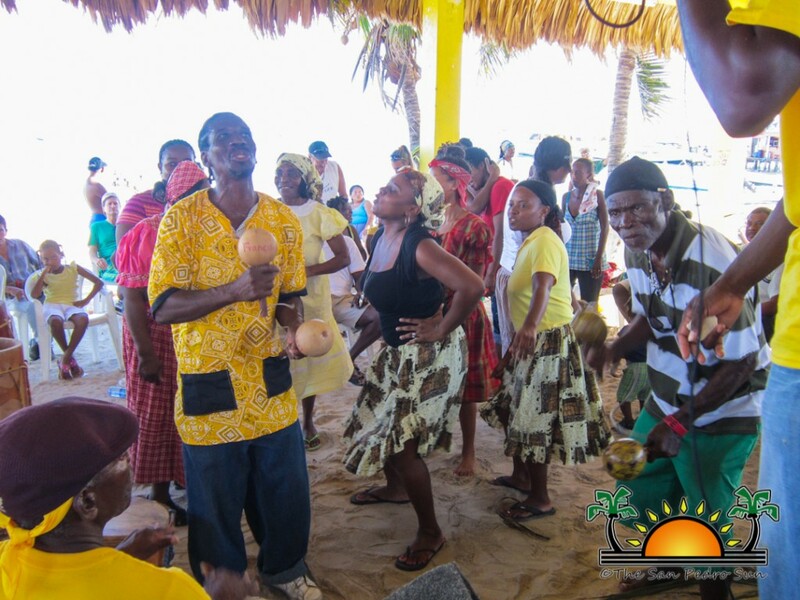 Belizeans countrywide observed Garifuna Settlement Day on Tuesday, November 19th. 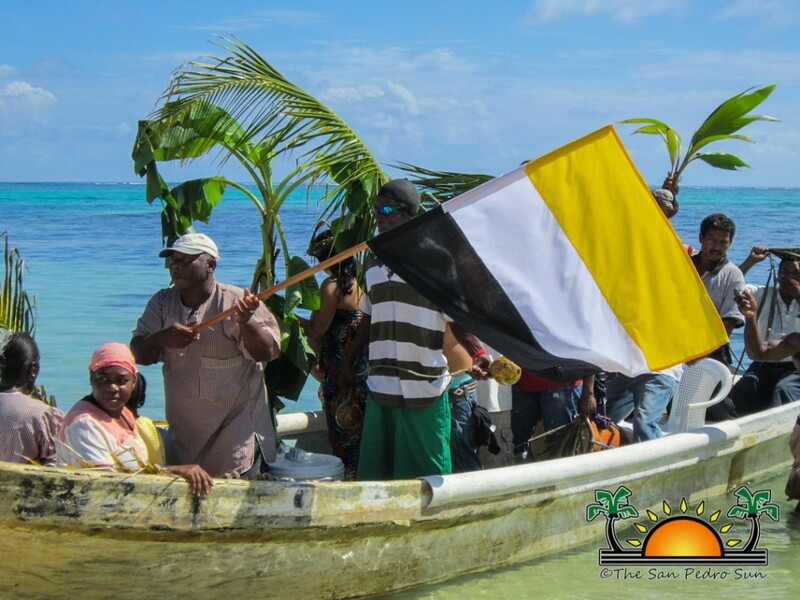 Activities to mark the arrival of the Garifuna to Belize in 1802 were celebrated in all the communities where Garinagu have settled in. 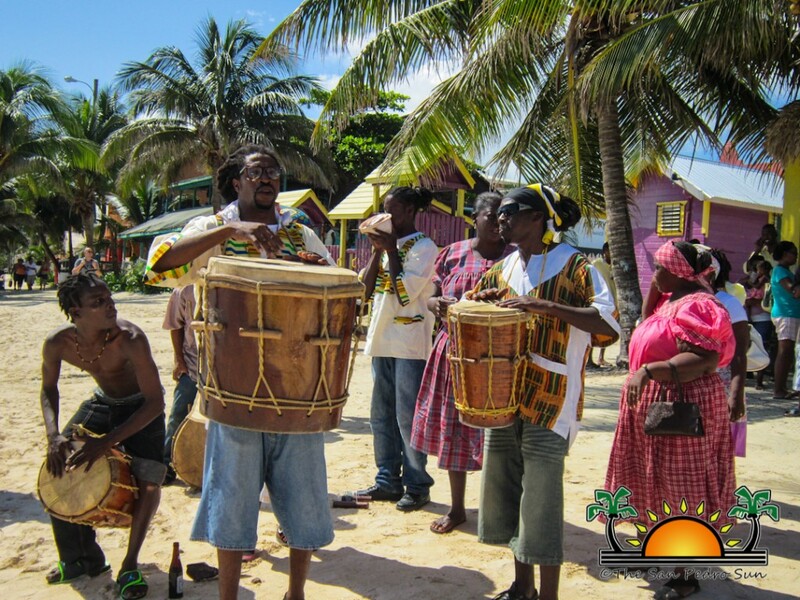 On Ambergris Caye, the celebration spanned over two days, starting with the typical drumming and dancing on the night of the 18th of November, and concluding with a beach party on November 19th. 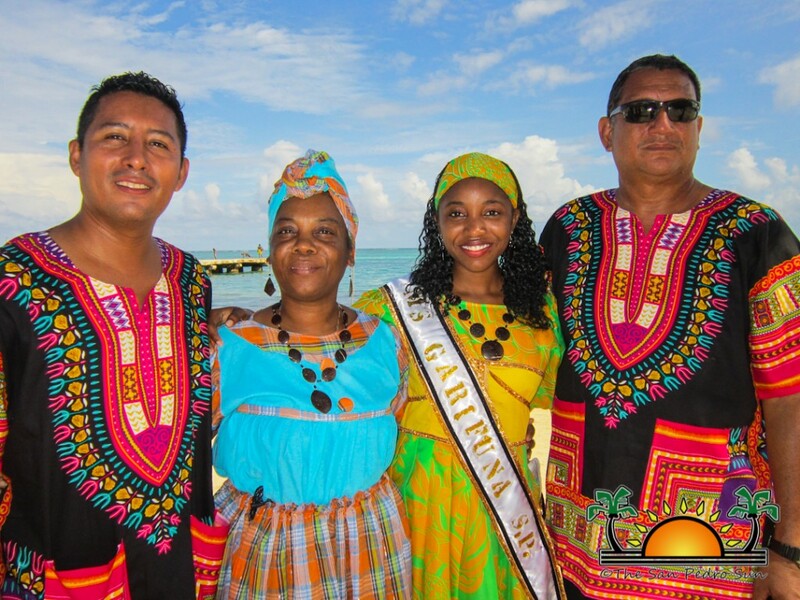 The celebration started with a short ceremony at the San Pedro Central Park where several speakers addressed the gathering including the Mayor of San Pedro Daniel Guerrero and the President of the San Pedro Branch of the National Garifuna Council (NGC) Elroy Castillo. Masters of Ceremony were Jorge Aldana and Mr. Arana. 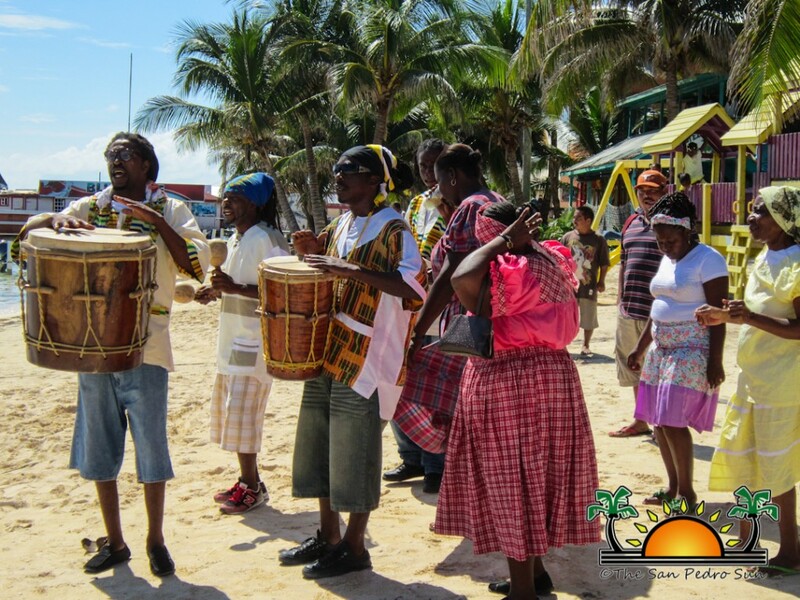 There were dance and musical presentation from the San Pedro Dance Academy, Mad Skill Dancers, Punta in Belize and San Pedro Garifuna Melody Dance Group. 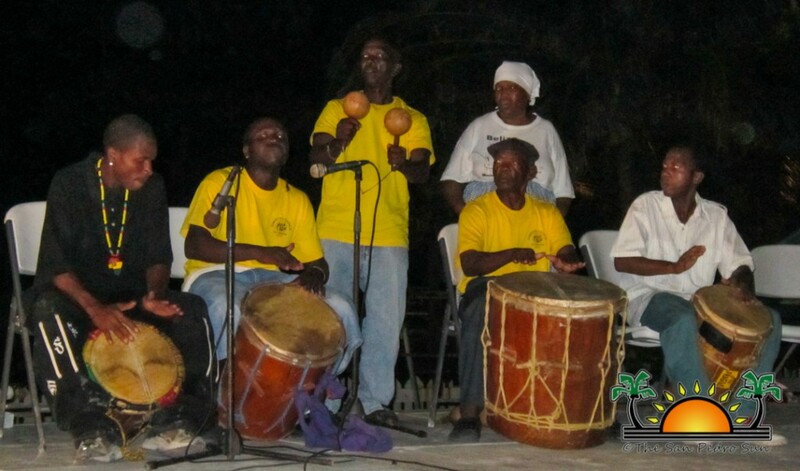 The highlight of the night was the participation of the Bimecacule Garifuna Group of Belize City who performed until wee hours of the morning; bringing on stage typical Garifuna music and dances. 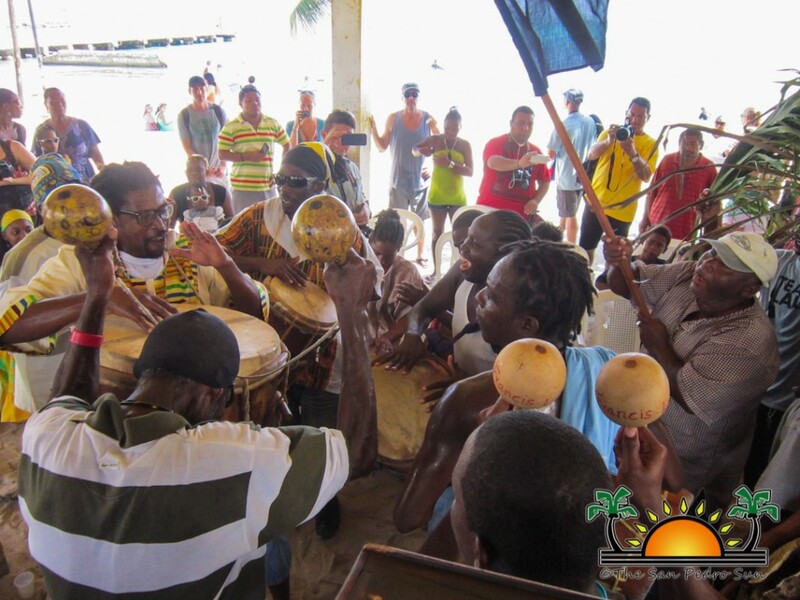 From the paranda to jankunu to punta, the rhythm of the drums was celebratory, and even when the rain came down, the crowd stayed to celebrate with the Garinagu of San Pedro Town. 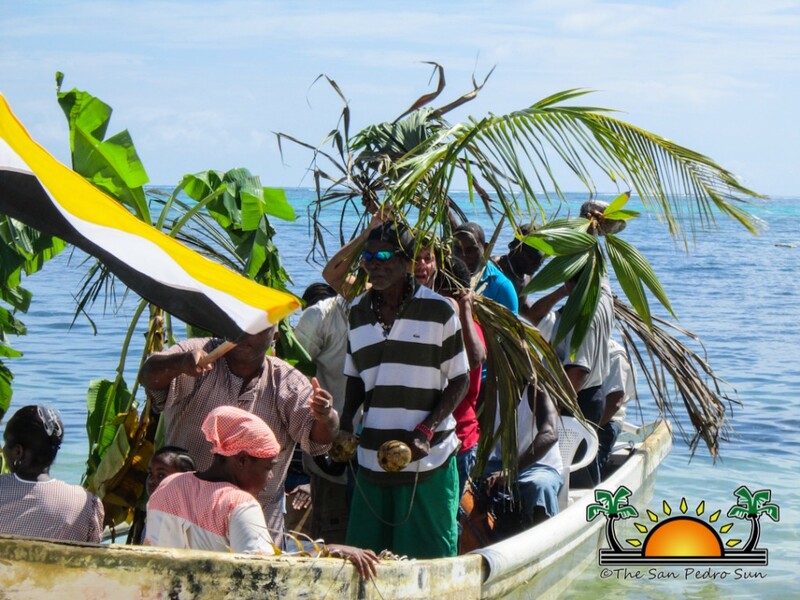 While the drumming continued all through the wee hours of November 19th, the events rolled into full gear for the traditional Yurumei, which is the re-enactment of the Garinagu’s arrival to the coast of southern Belize. 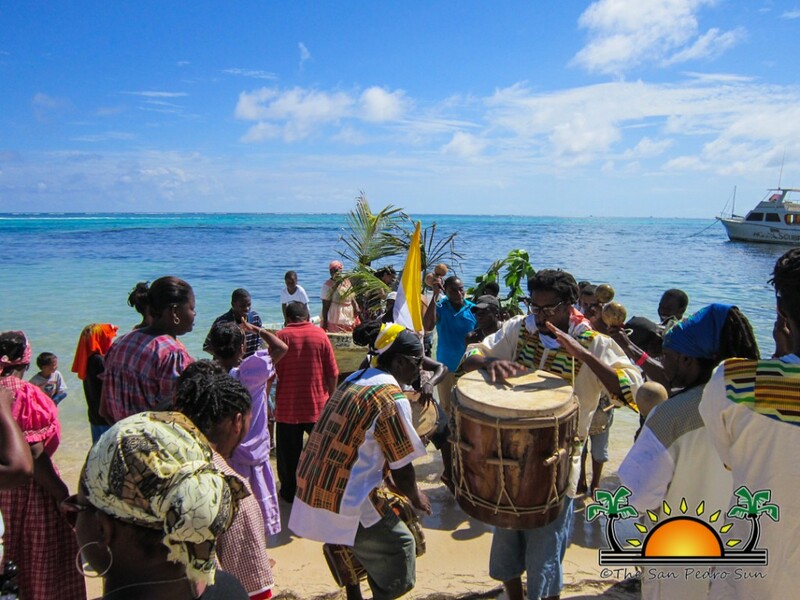 From a distance at sea, one could have seen and heard the Garifuna drums of the welcoming crowd that had gathered. This year’s celebration was held under the theme “Awanse wama lidan aban lau areini bungiu luma habayarahan ahari” or “Let us progress in unity with God’s goodness and the protection of our ancestors.” Speaking at the official ceremony on the midmorning of November 19th, both Mayor Guerrero and Minister of Tourism and Culture Honorable Manuel Heredia congratulated NGC and the Garifuna people for a united celebration. 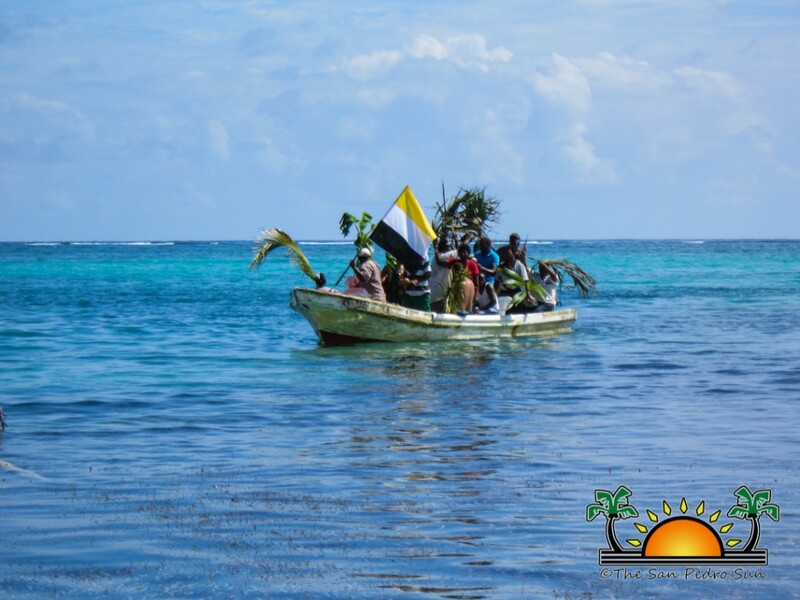 “This inspirational theme encapsulates the spirit and faith and resolve of the Garinagu to keep moving forward, overcoming every obstacle and rising to the challenges of the world in which we live. 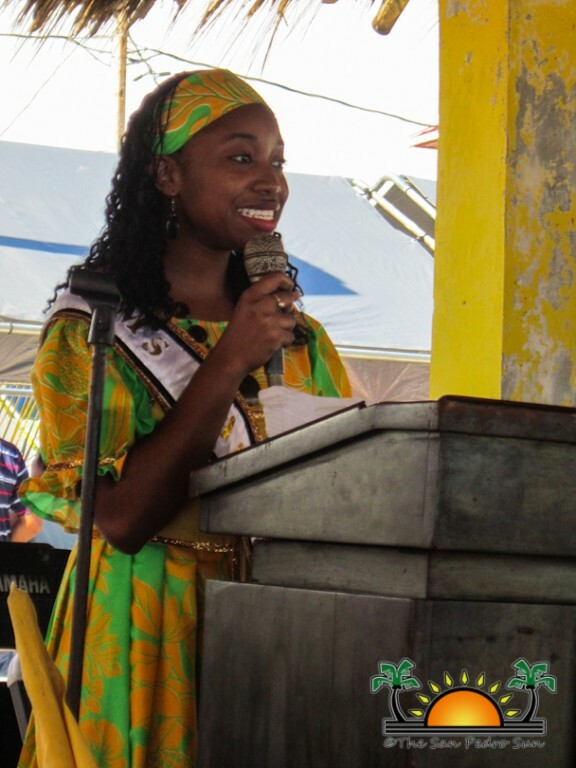 We celebrate the resilience of a people who, despite rejection and adversity, with great humility have honored their ancestors even as they established strong communities by fostering pride in their culture and pride in their identity” said Heredia in delivering the official statement on the event of Garifuna Settlement Day. 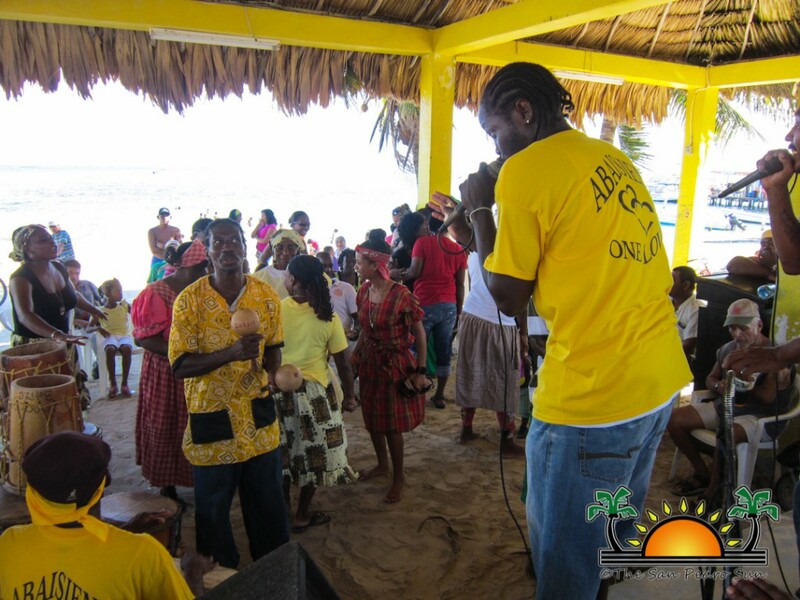 In speaking to the gathering Elroy Castillo took the opportunity to thank the Garifuna community for their support and indicate that it was the first event in years that was held in unity and without division. Retired Teacher Angel Nuñez gave an account of the Garinagu’s contribution to the development of the island. He said that Garinagu have risen through the ranks of various institutions and organization, being exemplary leaders and shaping leaders in the process. 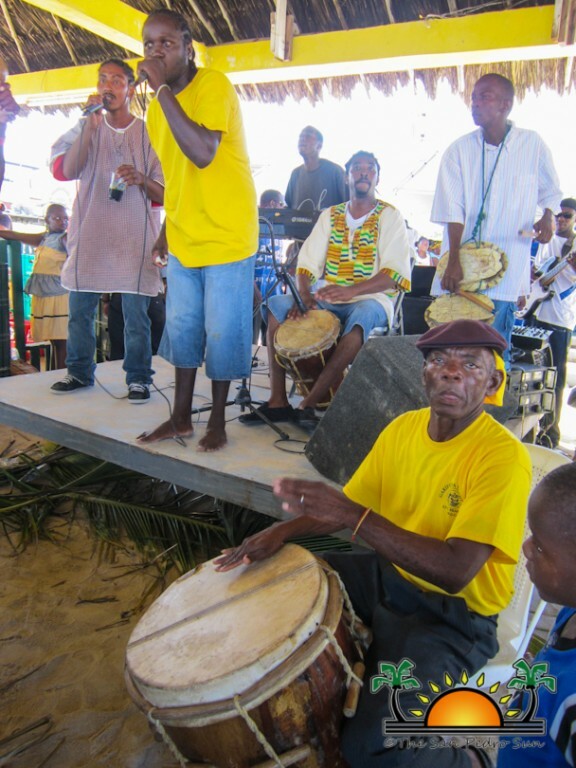 Following the short ceremony, visitors and local residents had the opportunity to eat from a wide array of traditional Garifuna dishes such as Hudut, Darasa and Bundiga. 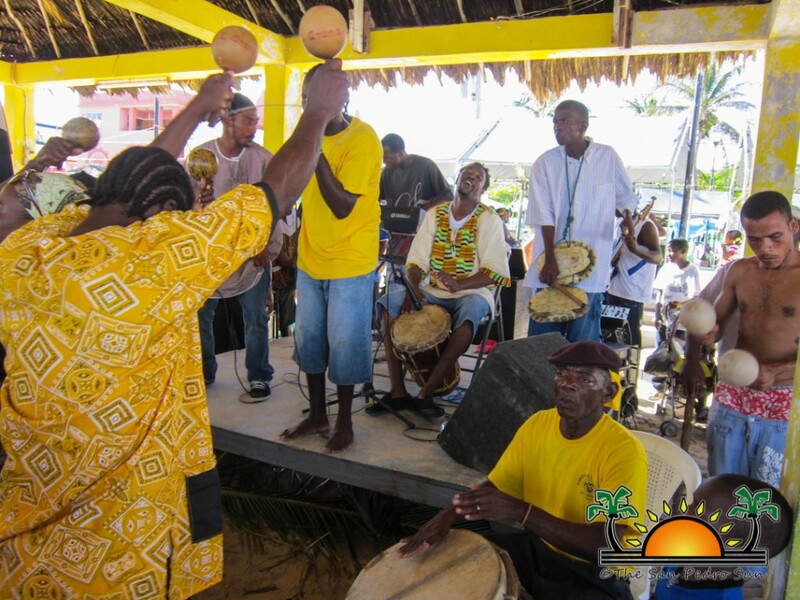 They also enjoyed the drumming and several dance presentation by the Bimecacule Garifuna Group. 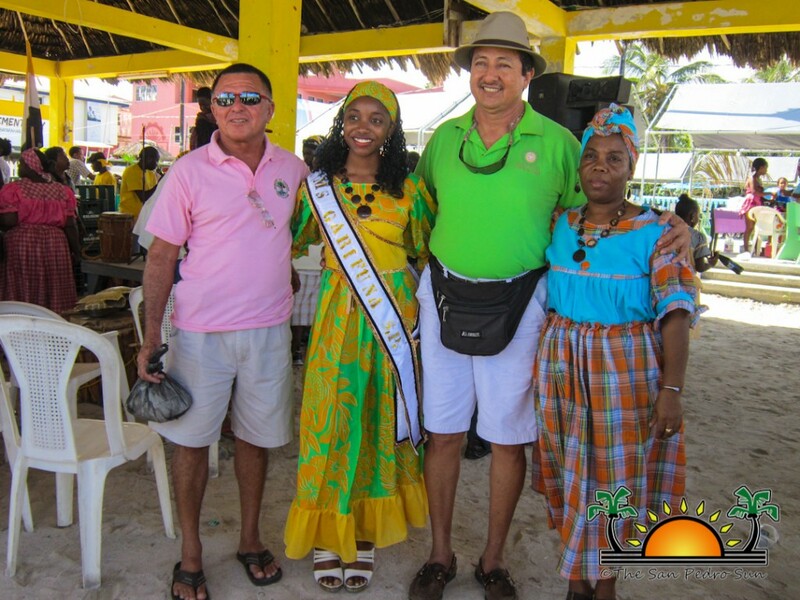 The San Pedro Cultural Committee and the San Pedro Branch of NGC would like to thank Hon Manuel Heredia, The San Pedro Town Council and all those businesses and individuals who contributed in making the celebrations a success.